Keith R. Kline received his Bachelor of Science degree in Occupational Therapy from Quinninpiac College in Hamden, CT. He has been practicing pediatric OT in a school setting since September 1999. He currently works in the Coventry Public Schools in Coventry, RI where he works with all students, especially those with exceptionalities, from the Pre-K to middle school level. He has over 13 years of experience working with the Learning Without Tears® family of products: Get Set For School, Handwriting Without Tears, and Keyboarding Without Tears. 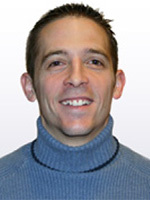 He has provided numerous presentations using these programs and is a National Workshop Presenter for the LWT's company. He offers private tutoring sessions for those families that wish to help their students improve their handwriting and keyboarding skills.